I had an amazing morning stomping in a labyrinth at the pass with my snowshoes. I started as the sun came up and the light on the mountains was just glorious - couldn't have asked for a more perfect start to the day. 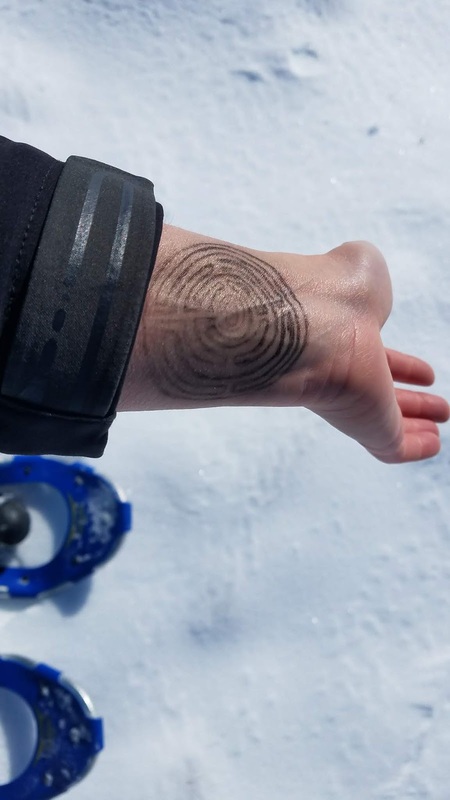 I drew the labyrinth on the inside of my wrist so I could follow my path into the center. 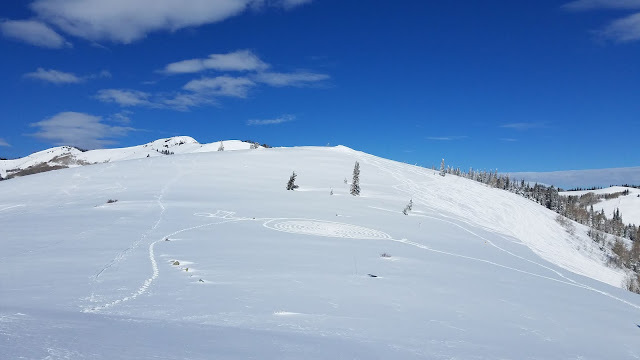 First I walked a circle to create an outside reference point, then I started in using my Soul Poles as halfway markers on the outside while aiming for a metal pole that was buried in the snow in the middle. This is my 3rd labyrinth now and each is different. They don't always work smoothly, and sometimes I mess up and go the wrong way. I lost track in one spot today, I got distracted for a second, but quickly found my way again. On the way in, I was fine tuning and finding alignment and getting excited as I got closer and closer to the center. I didn't quite get the pole in the middle to match the center of my labyrinth, but I was pretty close. Then I walked out along the same path I walked in. I did all the hard work making the path on my way in, so on the way out, I walked more quickly enjoying movement and my brain was quiet and still. At the end I turned around to see my footwork and felt proud. But still the walking was the best part. 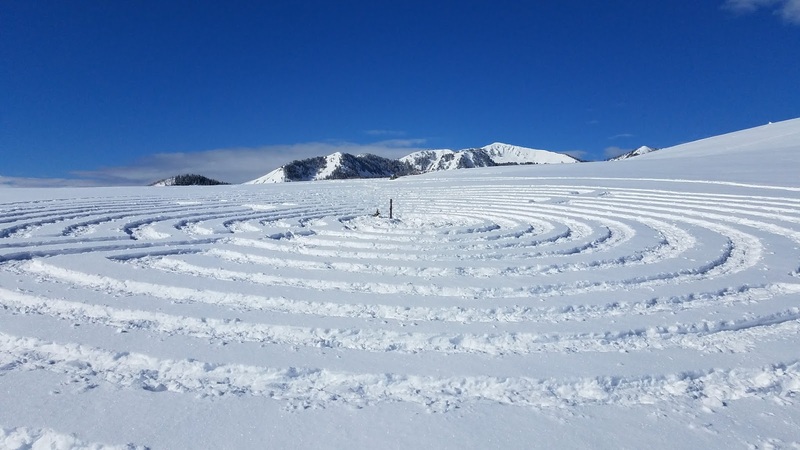 The labyrinth will be gone by the morning, blown over and covered with fresh snow. Not many will see it and likely no one will walk it, but that's ok. It took about an hour and I walked .87 mile and hung out in a gorgeous spot on a sunny morning. Thanks to @eclecticbrew for being game to come film, to @andrew__muse for his expert drone work and to @eightysixthirtyone for his excellent production services. Excited to see the footage.